Show your Chicago love in this tee. 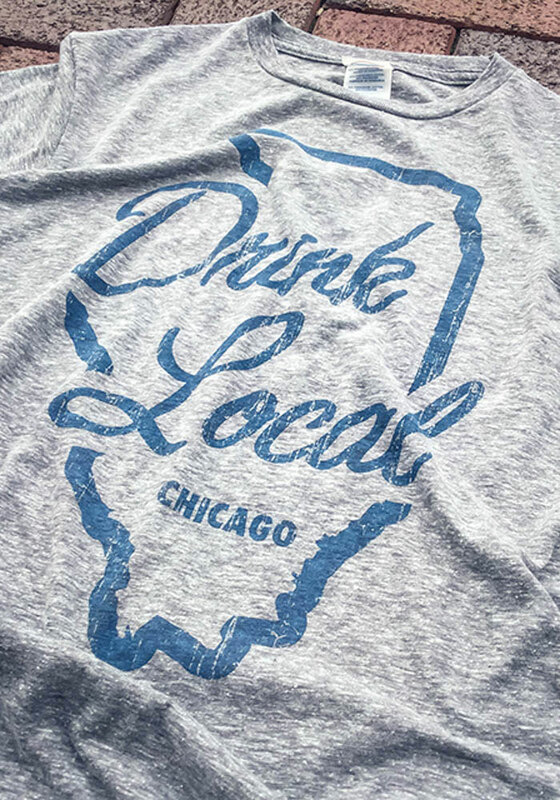 Featuring a screen printed 'Drink Local Chicago' wordmark inside an Illinois outline graphic on center chest. 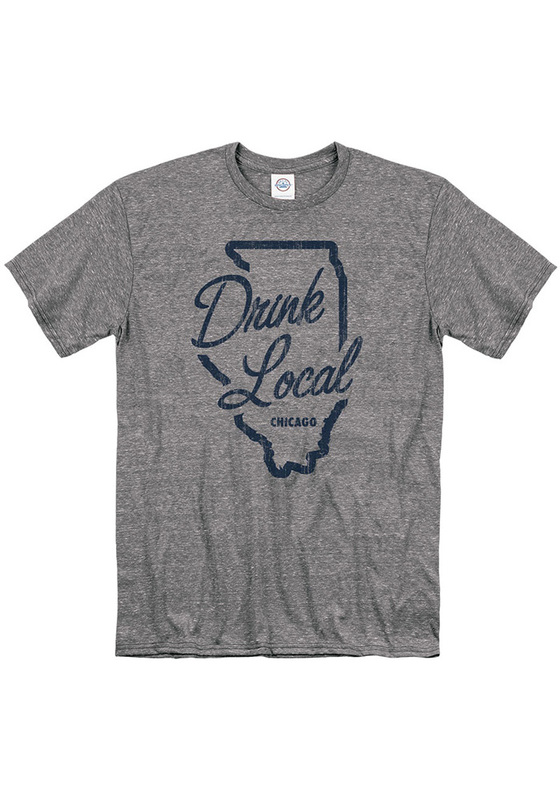 Let people know how much you love your city and a good drink in this tee.